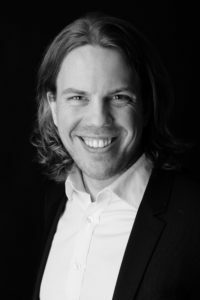 Norwegian bass-baritone Martin Hatlo studied at Barratt Due Institute of Music in Oslo, at the Royal Danish Academy of Music, and at the Opera Academy at the Royal Danish Theatre where he graduated in 2016. During his time at the Opera Academy he worked on roles like Mozart’s FIGARO and LEPORELLO, GOLAUD in Pelleas and Mélisande and TIERBÄNDIGER in Lulu. Martin’s vast concert repertoir includes Bach’s ST. JOHN’S PASSION, WEINACHTSORATORIUM, several of the Bach’s cantatas, Händel’s MESSIAH, KRÖNUNGSMESSE and REQUIEM by Mozart, Beethoven’s 9TH SYMPHONY just to mention a few. In addition to this, he received second prize in the Copenhagen International Lied Duo Competition with pianist Kristoffer Hyldig, who he frequently works with in the lieder genre. Opera performances worth mentioning are FALSTAFF in Die Lustigen Weibern von Windsor, DON ALFONSO in Così fan tutte at Theatre Rudolstadt, FRANCIS in Henze’s Boulevard Solitude, CARCIERE in Tosca at the Royal Danish Theatre, MASETTO/IL COMMENDATORE as a part of Aix-en-Provence’s Mozart Academy, and COLLINE in La Bohéme at Opera Ytterøya. In 17/18 Martin will be working at the Norwegian Opera as a member of the ensemble.